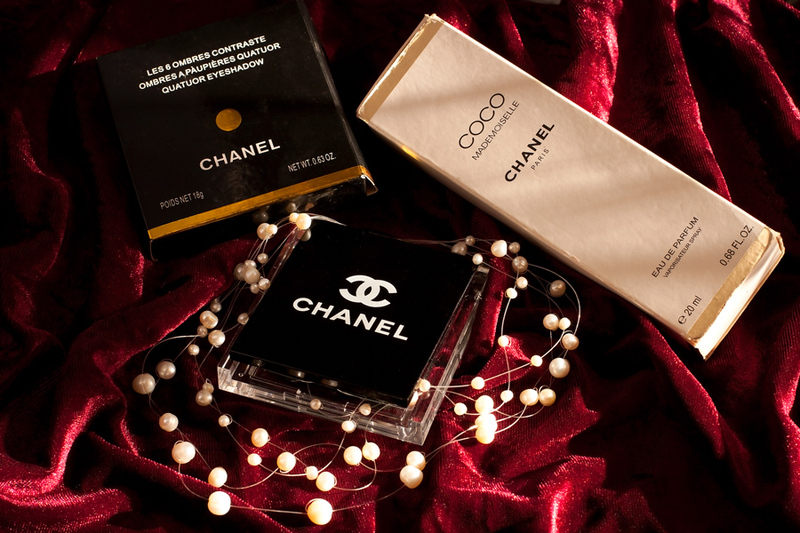 It's been two years when I had a post about my cosmetics and perfumes. Well, after looking through that post, I can say that my preferences didn't change that much. 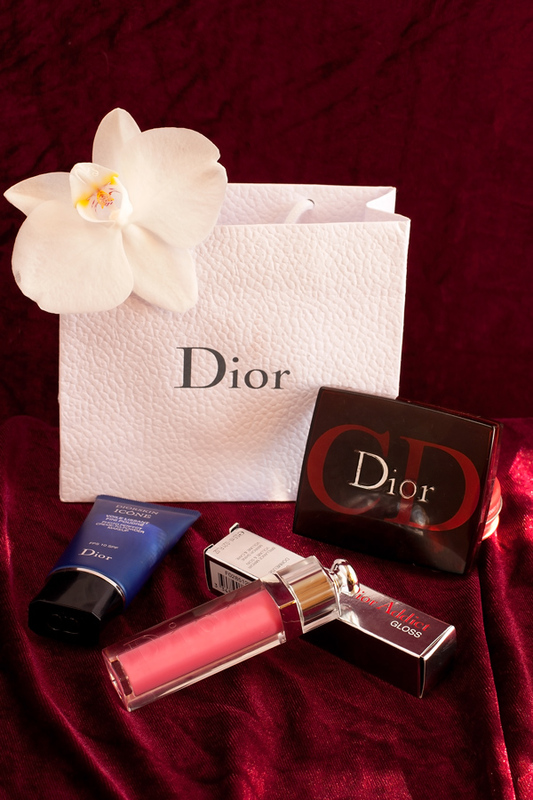 I'm still a Dior-girl. 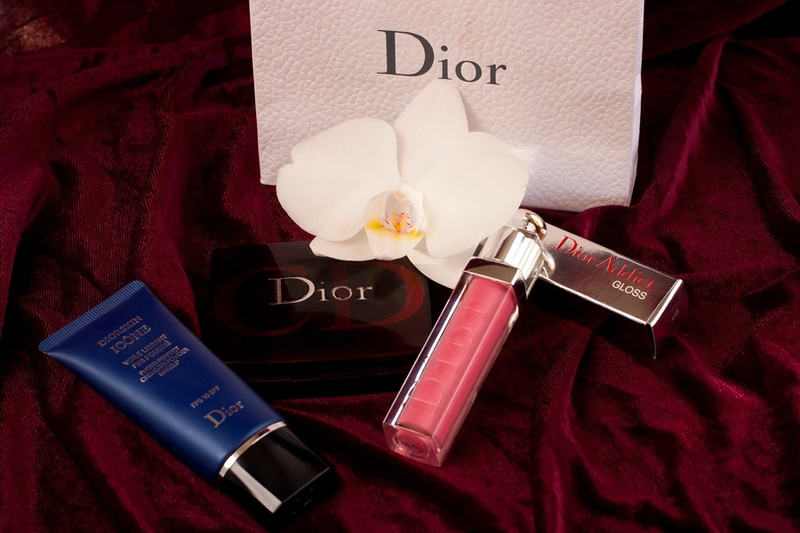 Am obsessed lately with Dior Addict gloss collection, love the colors. 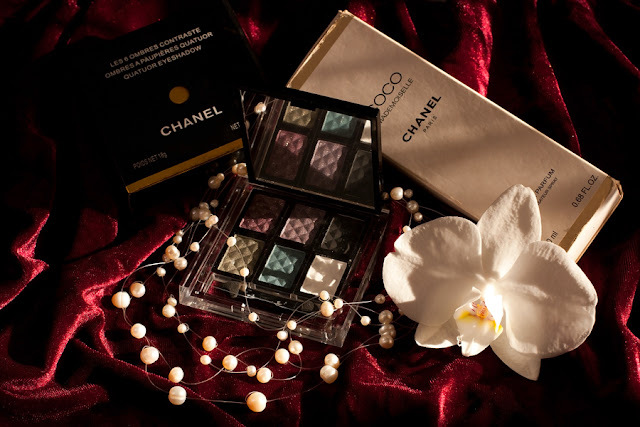 Thanks to Nastushka I have a super cool eye shadow selection from Chanel (now I'm motivated to look at other production the brand has) that matches my Coco Mademoiselle perfume. 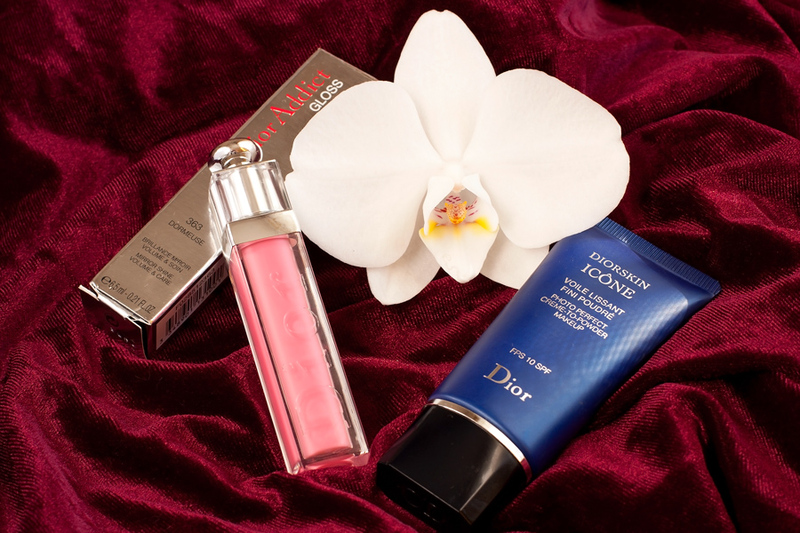 And a little bit more about my lipsticks and lip glosses - tried Mini Lip Gloss Library by SEVENTEEN. 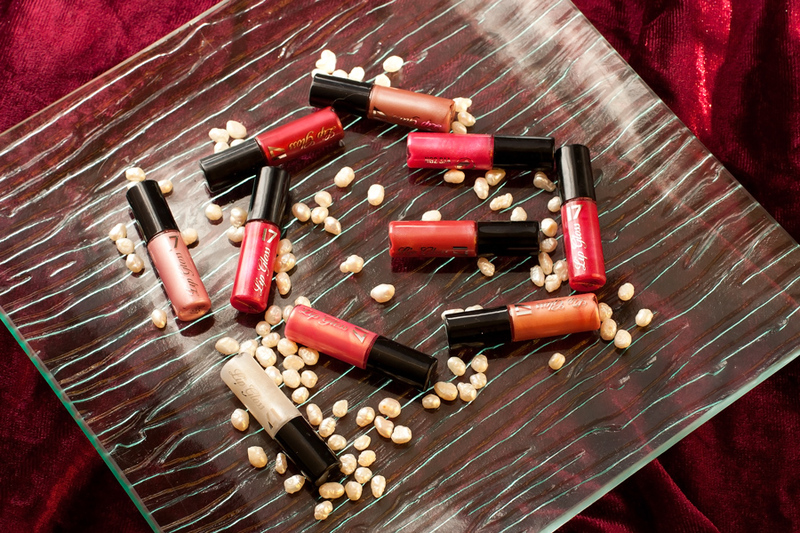 A selection of lip glosses in different colors that can be taken with you while travelling! 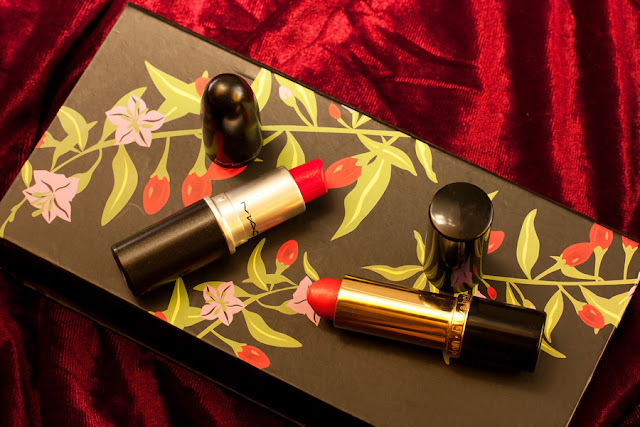 You have noticed that I'm a real fan of red lipstick and two ones that I prefer the most - M.A.C. Red (Satin) and Elizabeth Arden Melon. 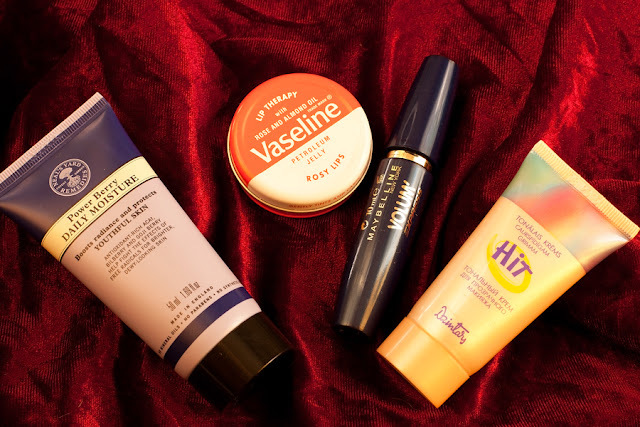 Talking about everyday make-up, I use Neal's Yard Remedies Covent Garden daily moisture with organic ingredients, Hit by Dzintars foundation for natural look, Maybelline New York mascara and Vaseline Lip Therapy Rosy Lips lip balm. P.S. I guess that's all I wanted to tell and show you about my upgraded Secret Beauty Box... Enjoy our beautifully styled photos.